With the recent decrease in housing overabundance, it appears the city of Calgary is on the way to economic recovery. According to the 2018 civic census, in June there were 19,408 empty housing units in the city (3.86% vacancy rate), compared to 23,553 units in June of 2017. Last year we hit a vacancy rate of 4.76%, the highest we have seen in nearly 20 years. Improved numbers are a result of better oil prices and employment figures, according to economist Trevor Tombe. During the recession in 2016 6,500 people moved out of the city. In 2017, 974 people moved back in, and this year 11,588 have come to town. “If things remain as they are, I would think Calgary should continue to see increased flow, not just of workers, but overall population growth and the construction gains that go with it,” said Tombe. Despite the growing population, those looking to buy in Calgary still have a wide range of listings to choose from. The number of housing units, both existing and under construction, went up by 8,999 last year to a total of 515,391 this year. 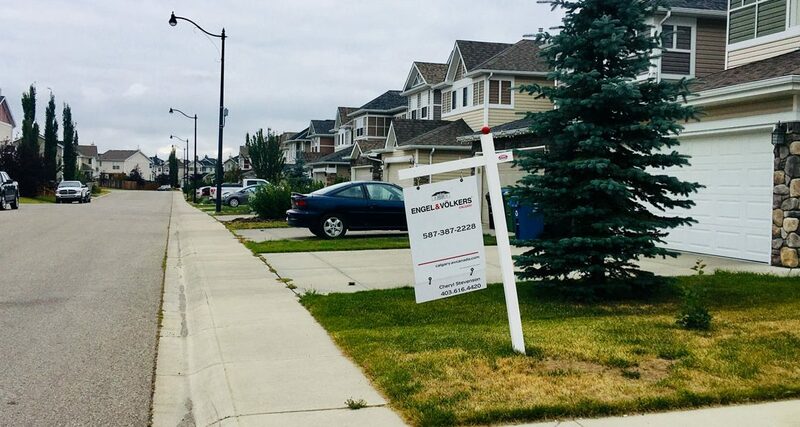 The Calgary Mortgage and Housing Corporation’s (CMHC) most recent report maintains that Calgary is in a buyer’s market as a growing number of homes for sale continues to drive down prices. Good for buyers! Bad for sellers! The recent mortgage rule changes and higher lending rates which were intended to cool the searing housing markets in Toronto and Vancouver have created severe unintentional setbacks to the struggling markets. Homes in Calgary are spending longer on the market, averaging 41 days compared to 32 days a year ago. It remains to be seen whether Calgary’s housing trends — oversupply, steady prices, and a decline in sales — will change. The next month’s real estate forecast is still in the works, but Lurie said there may be signs of improvement. “What I have seen is that the level of new listings in the market are adjusting to some aspects,” Lurie said. In other words, your guess is as good as theirs. With so much uncertainty, it’s a good time to look into buying a home and getting a pre-approval while mortgage rates are still low and property availabilities are still high. As always, feel free to reach out to me at 403-241-3255.